Control Resources’ custom electronic design and manufacturing group provided a telecom fan controller for this unique fan tray design. This custom fan controller included power regulation and I2C communications. 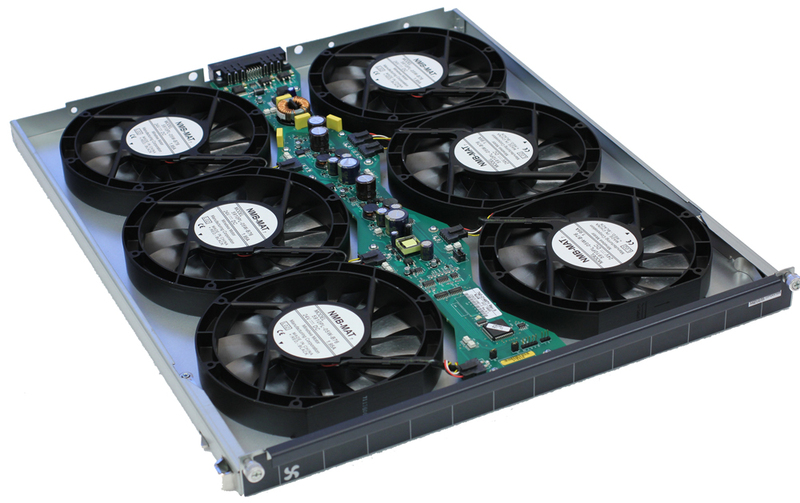 Our experience with telecom fan controller design optimized this fan tray for maximum performance and reliability. CRI’s ISO 9001:2000 registered electronic design and manufacturing facilities have the capability to provide complete custom fan tray solutions from prototype to production. PCB size constrained by fan placement requiring design to fit “between” fans.